Kamilah A’Vant has been an Adjunct Professor with Bay Bath University since December 2017, teaching both WELL and Leadership & Organizational Studies courses. She is currently the Vice President SBA Compliance Partner at Citizens Bank, a role that supports lending to small businesses and entrepreneurs. Prior to working at the bank, she spent 9 years’ in broadcast television, where she handled contract negotiations with cable operators, addressing signal carriage and TV programming issues on Media General’s 71 U.S. broadcast television stations. 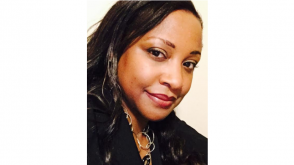 Prior to joining LIN Media/Media General in 2008, she was a corporate and litigation paralegal for over 10 years with Textron, Inc.
Kamilah is the New England chapter President for the National Association for Multi-Ethnicity in Communications (NAMIC). NAMIC is a non-profit, volunteer, professional, media trade association with over 4,000 national members with a mission to educate, advocate and empower for diversity and inclusion in all areas of the communications and entertainment industry (film, stage, television, cable, radio, digital and print media). She is a member of the Southern New England Association of Black Journalists (SNEABJ), a community advisory board member for “Reflection in Action” program at the Harvard Medical School Office of Diversity Inclusion & Community Partnership and a Board Member of Children’s Friend, a program in Rhode Island that support early childhood and community development.